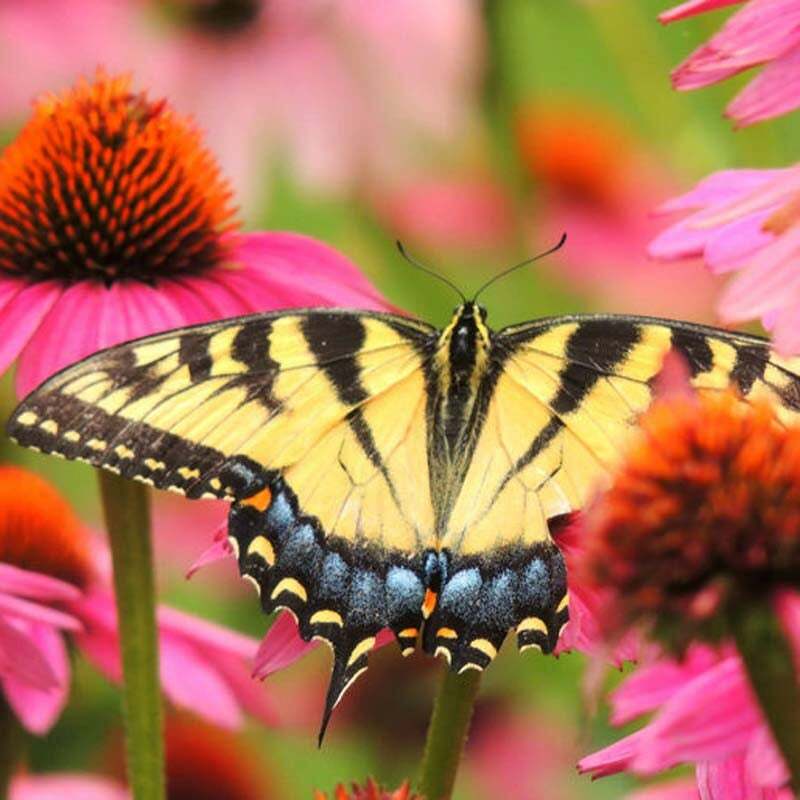 Want to plant for pollinators this season? We make it easy with our Pollinator Habitat Wildflower Collection. It includes 1/4 lb each of our four most popular pollinator mixtures: Pollinator Mix, Butterfly & Hummingbird Mix, Bee Mix and Beneficial Bug Mix. This collection has wildflower favorites for any pollinator, including butterflies, hummingbirds, bees and beneficial bugs. Not only will you be helping the dwindling pollinator population by planting this easy-to-pollinate collection, but you’ll also enjoy a rainbow of blooms starting in just weeks and coming back year after year. All of the seed we handle at American Meadows is non-GMO, neonicotinoid-free and guaranteed to grow. Our Pollinator Habitat Wildflower Seed Collection is comprised of a variety of easy-to-grow Wildflowers that pollinators love. It includes a quarter pound each of our Pollinator Mix, Butterfly & Hummingbird Mix, Bee Mix and Beneficial Bug Mix. Beneficial Bug Wildflower Seed Mix Attracts beneficial bugs to the garden. 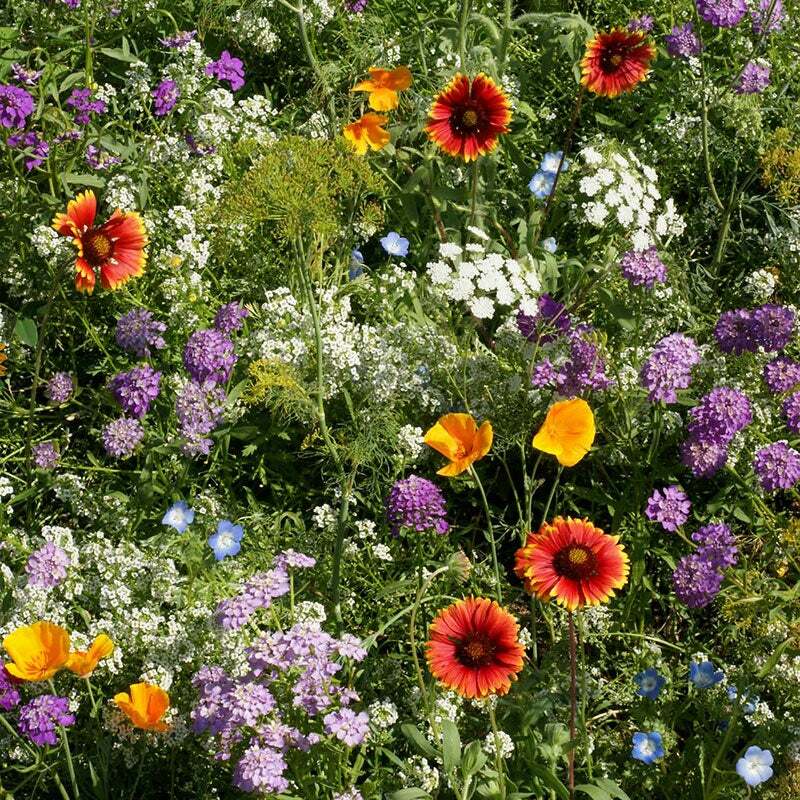 This mix contains 19 wildflowers, 10 annuals & 9 perennials. 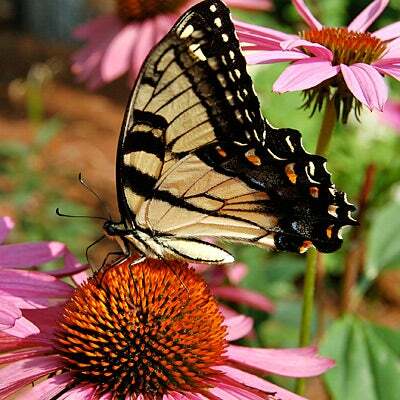 Butterfly & Hummingbird Wildflower Seed Mix Attract butterflies & hummingbirds to the garden. This mix contains 16 wildflowers, 13 annuals & 3 perennials. Honey Bee Wildflower Seed Mix Nectar-rich wildflowers and clovers adored by bees. This mix container 19 wildflowers, 12 annuals & 7 perennials. 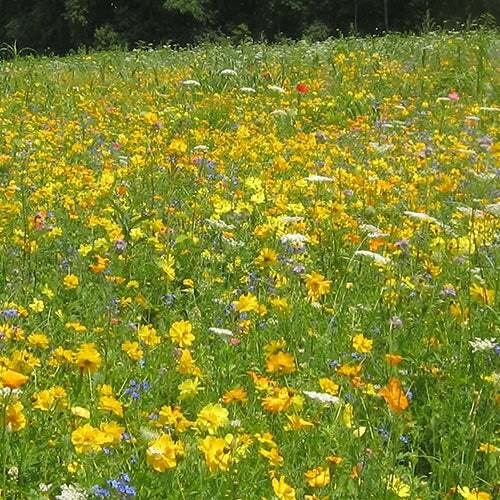 Pollinator Wildflower Seed Mix Easy to pollinate wildflowers. This mix contains 17 wildflowers, 10 annuals & 7 perennials.